Calling all NYC sneaker heads! Sneaker Con is back for it's second year! 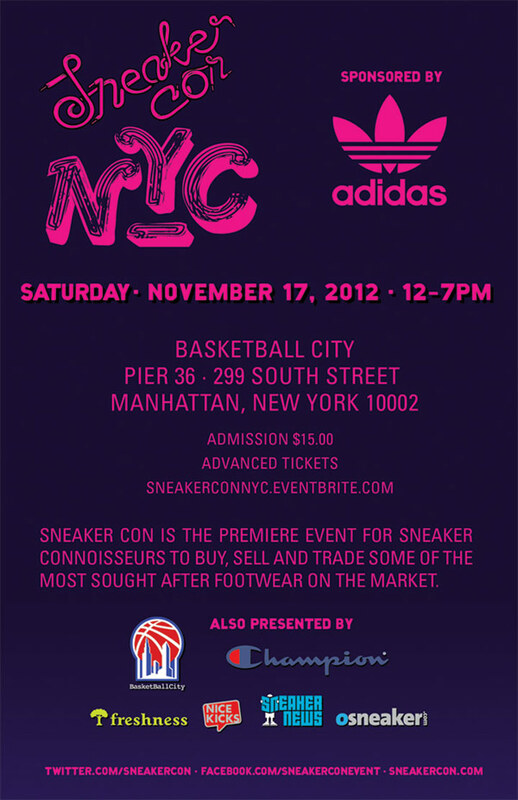 Sponsored by Adidas, this event will be held on November 17, 2012 at Basketball City - Pier 36. Trade/sell your shoes or scope out other sneaker heads collections and bygones. Whatever it is, this event is definitely something you do not want to miss!